State Bank of India will release the SBI Clerk Admit Card 2018 through online mode. Applicants who have successfully submitted the SBI Clerk Application form 2018 have to enter the registration number & password through sbi online. Candidates have to download the SBI Clerk Hall Ticket 2018 after checking all the details and keep it safe until the completion of the sbi clerk recruitment process. Check the simple steps provided for easy download of SBI Clerk 2018 Admit Card. State Bank of India will upload the SBI Clerk Admit Card 2018 download link within 10 to 15 days prior to the exam date. The SBI Admit Cards is made available for all the applicants of State Bank of India Clerk Exam 2018 in two stages. The SBI Prelims Hall Ticket is issued for the candidates who have registered for the first stage of the recruitment process. SBI Admit Card 2018 is available for those candidates who have qualified the Preliminary Examination. Candidates have to download the SBI Admit Card 2018 Clerk by entering the roll number, date of birth/password. No hard copy of the SBI Clerk Admit Card Download 2018 is sent to the applicants through the post. So, candidates have to download SBI Clerk Admit Card through online itself. It is compulsory to take the printout of the SBI Clerk 2018 Admit Card and keep it safe until the recruitment process over. Aspirants who have opted for training while filling the SBI Clerk Apply Online 2018 have to download the Pre-Exam Training Admit cards. Aspirants can access SBI Admit Card Clerk 2018 through the following details provided below. Space to affix the recent passport size photo similar to the uploaded one. After the completion of the downloading process of SBI Hall ticket 2018, candidates have to verify the above details. In case, if you have found any mistakes in the SBI Clerk Admit card 2018, contact the officials through the below address provided. Candidates can refer the SBI help desk numbers 022-2282 0427, Fax: 022-2282 0411 for any queries related to the errors printed in the SBI Clerk Admit Cards 2018. State Bank of India will issue the SBI Pre-exam training Hall ticket 2018 for the candidates who have opted training at the time of filling the SBI Clerk Online Application Form. The Pre-Exam Training is only given to the candidates belonging to SC/ST/XS/Religious Minority Community. Aspirants have to download the SBI Clerk Prelims Admit Card 2018 through registration number, password, etc. The SBI Clerk Admit card 2018 download link for pre-exam training is made available here soon after the official announcement. Click on “SBI Clerk Admit card 2018 download” tab available on the home page. Enter the roll number, password, etc to download the State Bank of India Clerk Hall Ticket. Candidates have to enter the details correctly. After filling the necessary details in the text boxes, click on the submit button. Your SBI Clerk Hall Ticket 2018 will appear on the page. Check all the details in SBI Hall ticket whether printed correctly or not. Take the printout of the SBI Clerk Admit card for future reference. We hope that all the aspirants have already started their preparation for SBI Clerk Exam 2018. To help in your preparation, our unit has provided here SBI Clerk Syllabus & Exam Pattern. 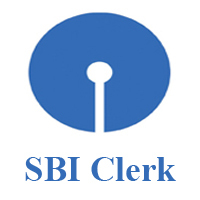 Also, download SBI Clerk Previous papers for better practice for the clerk sbi Exam. Also check SBI Recruitment 2018 here. Firstly, all the candidates have to remember that no hard copy of SBI Clerk Admit cards is sent to the candidates individually. 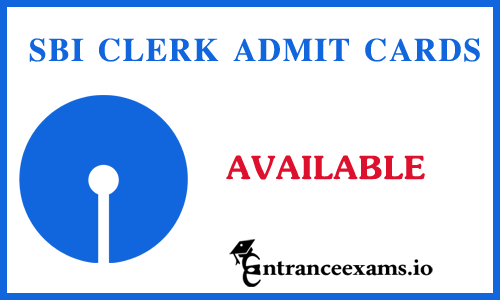 Candidates are not allowed into exam center without the SBI Clerk Admit card 2018. So, after taking the printout of the sbi hall ticket, paste the recent passport size photograph in the space allotted. Aspirants need to carry any of the original government ID proof such as Aadhar Card, Ration Card, driving license, voter Id and passport along with the xerox copy. Applicants have to write the name, registration number, mobile number, signature, etc on the photocopy of the government photo ID. Candidates have to bring the similar original govt. photo ID which they have submitted while filling the application form while appearing for sbi clerk exam. The photocopy of the identity proof along with SBI Clerk Call Letter is submitted to the invigilator after the completion of the exam in the examination hall. Identity Card issued by School/College. We have provided here the simple steps to download SBI Admit card 2018 Clerk Exam. Candidates have to enter the roll no & DOB through sbi online to get the SBI Clerk Admit Card download 2018.